12" wide with a 9" chrome plated drop coordinate attachment with chrome plated spring loaded clips. 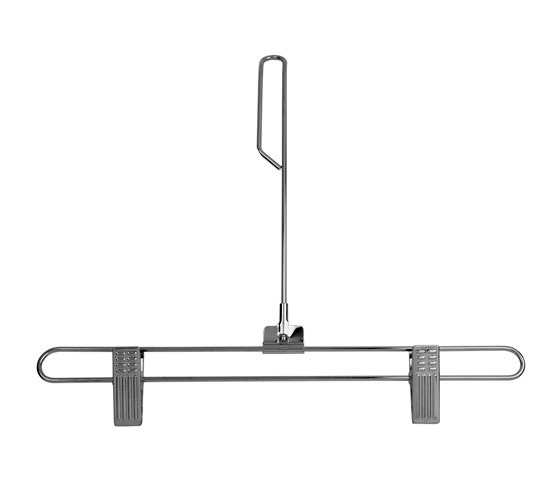 This loop attachment is designed to fit over the hook of a hanger for coordinates. Great for retail stores, salesmen, or the home. 100 per box.